Over 600 Guests. Massive trees growing out of tables. One of the most luxurious venues in the country. 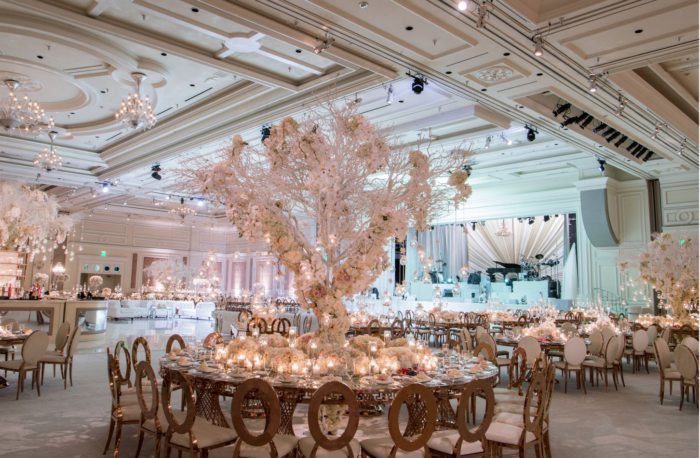 This winter wedding at the Bellagio Las Vegas was a beautiful production that we were thrilled to be a part of! 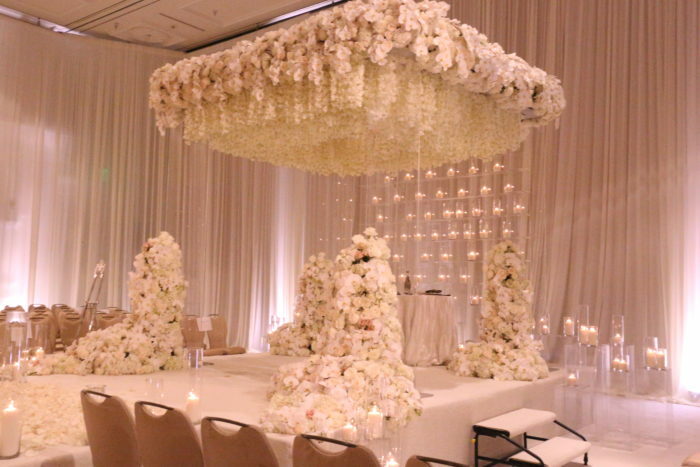 The couple wanted classic, white florals with a slight modern feel and rose gold accents. 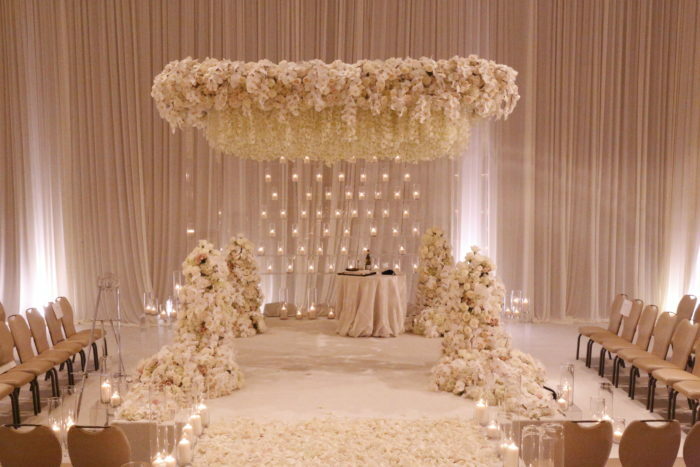 An acrylic chuppah gave them a clean presentation, and chic white shelves lined with candles not only defined the entrance to their ceremony space, its clean edges lent a modern touch and high-impact impression to guests. 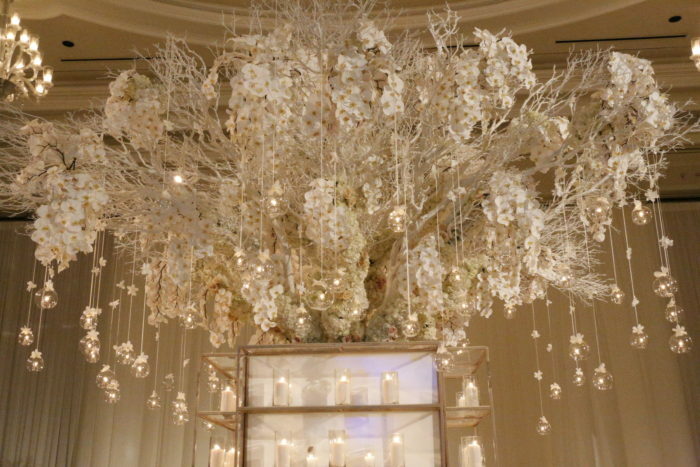 A one-of-a-kind element of this wedding design that awed guests were the 13′ trees rising from Palace Party Rental‘s custom made tables. 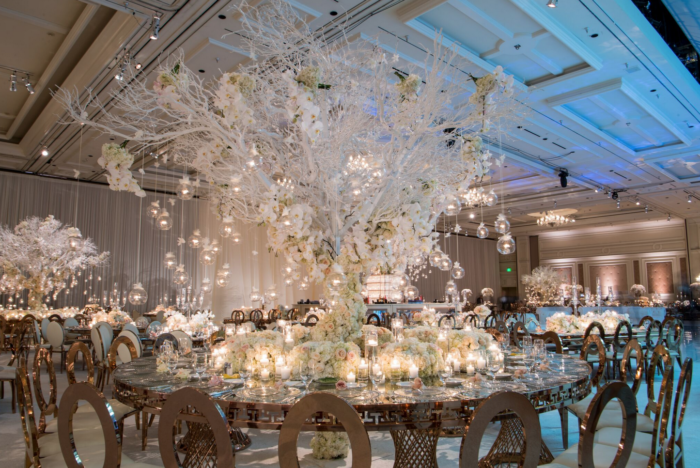 These massive but elegant trees were custom made by our team from manzanita trees. Delicate glass orbs filled with candles added dimension and glamour. Rose gold has a special sense of elegance – not as traditional as regular gold, and warmer than silver accents. 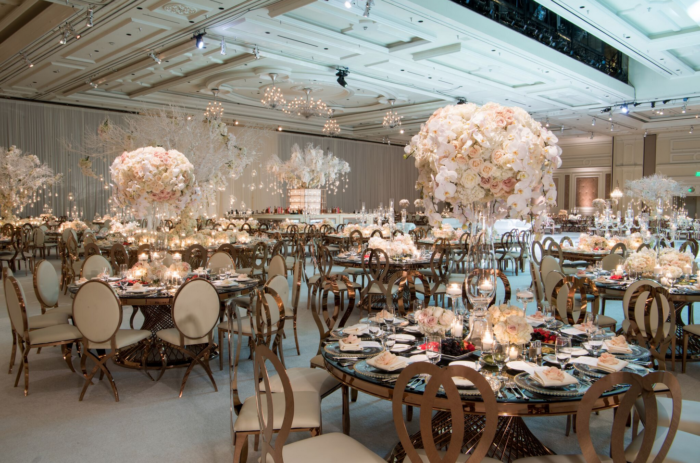 The material worked perfectly with the ivory and light gold colors of the Bellagio ballroom; Palace Party Rentals also carpeted the floors for a clean canvas that allowed the color scheme to truly shine. Our team worked long and hard to make his event happen, and we were thrilled to work with the following vendors. Most of all, we are so grateful to work with this couple and their families for trusting us with their wedding florals and design!